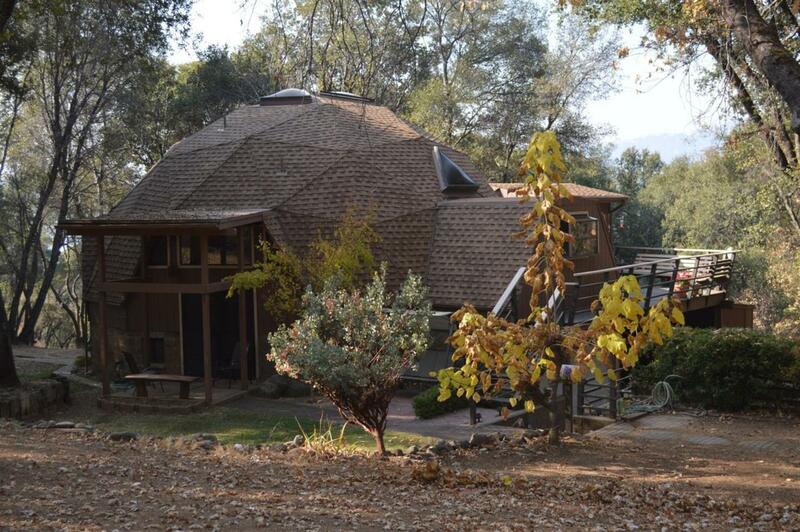 A unique geodesic dome home, nestled at the end of the cul-de-sac, surrounded by beautiful Oaks on 2.19 acres. 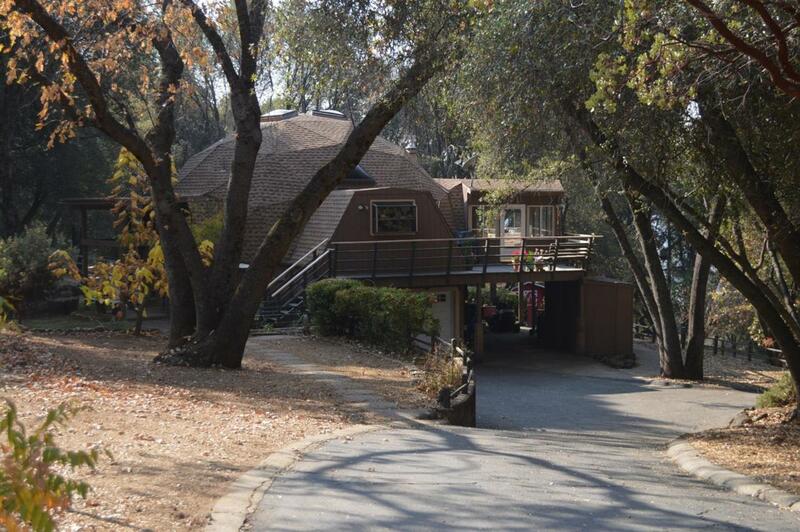 Original Owner/Builder ... home has 3 bedrooms, 2.5 baths, 1,806 sq ft of living space. 3 skylights allow for natural lighting. 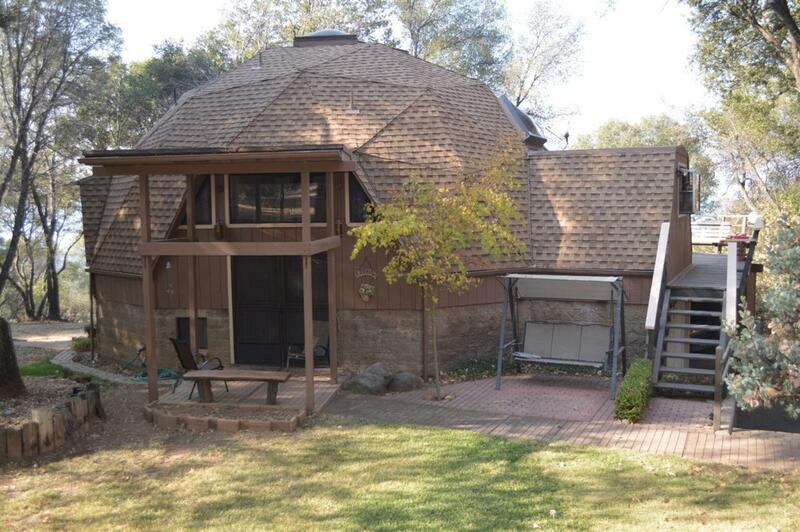 Home has interior loft area, along with a sunroom off the main living area facing west. Deck area for entertaining and enjoying the outdoors. Kitchen has garden window, with breakfast bar. Two guest bedrooms downstairs with bath. Nice front yard and appealing exterior entry. 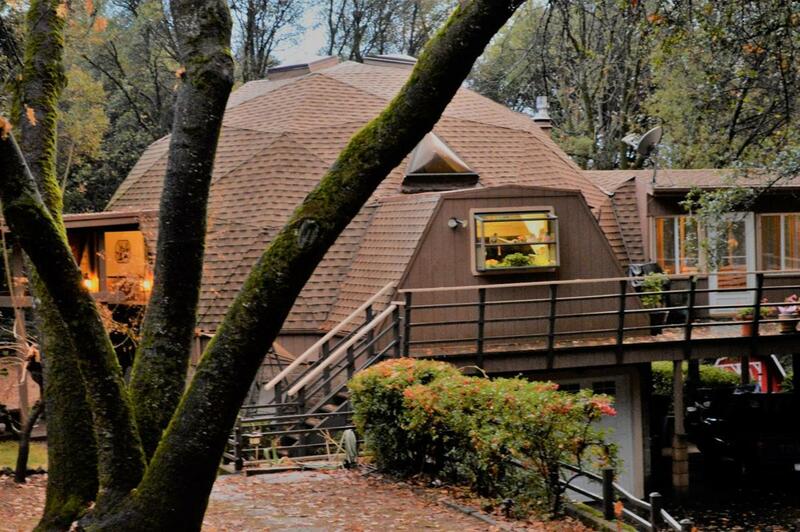 Good roof and newer HVAC system. Propane fireplace insert. 12x12 storage/outbuilding. Views, and with some pruning, there could be MORE views! Schedule today a showing that will be most distinctive and very special!